The Messerschmitt Bf 110 was a twin-engine heavy figther or Zerstörer ( Destroyer) designed as a strategic long-range heavy fighter capable of escorting bombers to and from their targets He was erroneously called Me 110 developed from the “Armed Aircraft III” specification issued by the German Air Ministry in 1934. However, it was soon found to be ineffective at its role it was too heavy and not maneuverable enough to compete with the single-engine fighters in combat. Other lacks it is badly exposed to fire from behind the pilot when his heavy armaments was all trained ahead and he had arlor only against the head-on attack. It is light construction so impact at close range often caused the Zerstörer to disintegrate ,and finaly the Bf 110 had trouble competing with smaller fighters, and the pilot couldn't always coax out of it the necessary speed or turns to beat a hasty retreat if challenged. This aircraft the baby of Herman Göring nicknamed it his Eisenseiten ("Ironsides ) was in service in the luftwaffe during all WW2 This machine was required by Marshal Goering to equip the elite "Zerstorer" formations that he envisaged had to be capable of penetrating deep into enemy territory, possessing sufficient range to accompany bomber formations.This Kampfzerstörer (battle destroyer) could be have a long range and an internal bombload. Specifically, the request called for a twin-engine, three-seat, all-metal monoplane that was armed with cannon as well as a bomb bay However it was not very manoeuvrable. This was the design’s fatal flaw, and would get worse as more and more equipment was added to the aircraft during the war. Development work on an improved type, Me 210 that was to replace the Bf 110, begun before the war started, but follow some problems he result that Bf 110 was here until the end of the war in various roles, alongside its replacements, the Me 210 and the Me410. The Messerschmitt Bf 110 was an aircraft criticized for its failure during the Battle of Britain, while its successes in other fields have been largely ignored. .In 1934 Luftwaffe need a machine to equip the elite "zerstorer" formations that he envisaged had to be capable of penetrating deep into enemy territory, possessing sufficient range to accompany bomber formations. Professor Willy Messerschmitt began design studies for such a warplane towards the end of 1934 at the Bayerische Flugzeugwerke at Augsburg his problems would have seemed insurmountable had he possessed a full knowledge of interceptor fighter development trends abroad For Professor Willy Messerschmitt fuel tankage necessary presented a serious weight penalty and called for the use of two engines if the "zerstorer" was to achieve a performance approaching that of the lighter interceptor fighter by which it would be opposed. If Messerschmitt. possessed experience with single seat military aircraft He had been conceived in only a previous summer, his first warplane the single-seat Bf 109 he possessed no previous experience with twin-engined military aircraft when he commenced work on the Bf 110. 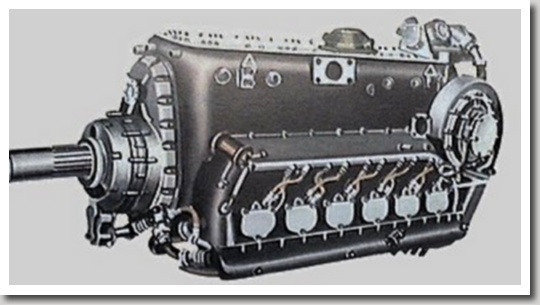 Development of the Jumo 210 started in 1931 for first ran in static tests on October, 22nd 1932. In 1933 he receive the official name of 210. The first flew take place on July 5th 1934 in a Ju W 33 The engine deliver only about 600 PHP instead of 700 HP initially aimed . 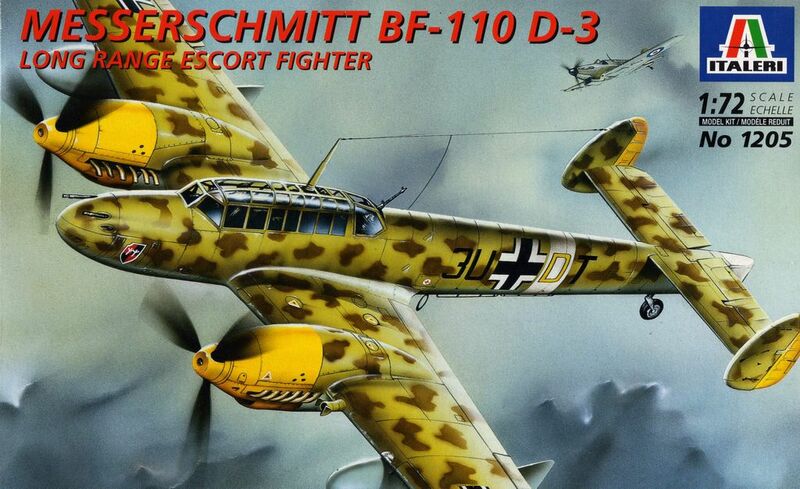 So Messerschmitt began the design of the Bf 110. The first prototype Bf 110 made its initial flight on May 12nd 1936 with Dr. Hermann Wurster Some sources mistakenly credit the first flight to Rudolf Opitz, who has stated on numerous occasions that this honor belonged to the Messerschmitt factory's Chief Test Pilot, Dr. Hermann Wurster. 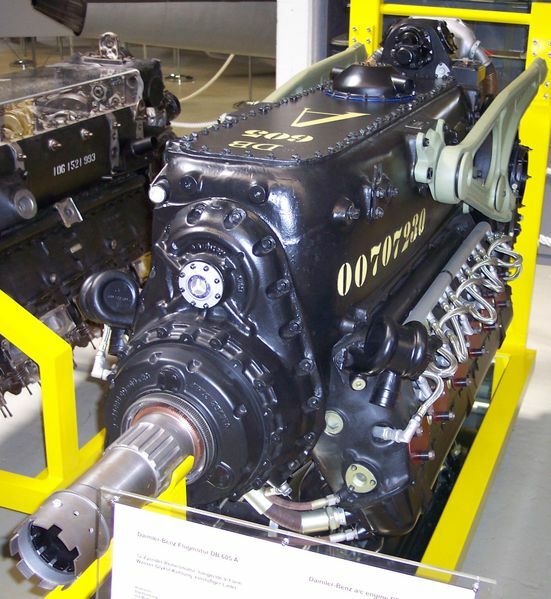 Although Rudolf Opitz did add some flight test inputs to the Bf 110, it was not until after he became involved with flight testing Messerschmitt factory aircraft in the latter part of 1941 A key factor in the design was the use of two Daimler-Benz DB 600 engines; subsequent difficulty in obtaining enough of these to power development aircraft meant that the Bf 110 could not be tested during the Spanish Civil War. Nevertheless, one aircraft was tested at the Rechlin evaluation centre in 1937 and proved to be very fast, although not as maneuverable as hoped. But Messerschmitt omitted the internal bomb load requirement from the RLM directive to increase armament element of the RLM specification. The Bf 110 was far superior to its rivals in providing the speed, range and firepower to meet its role requirements so the overall performance was considered reasonable although the prototypes were prone to some swing on both take-off and landing. This Bf 110 A 0 was built around the Jumo 210B engine, This engine was few powerful and reduced the speed of the aircraft to only 429 km/h.. He was armed with four 7.9 mm MG 17 in the top of the nose, and one rear-firing 7.9 mm MG 15 in the observer’s cockpit. 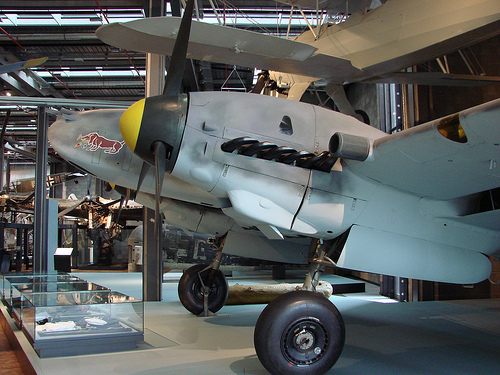 The Bf 110 as 2 Jumo 210G.engines This gave better performance than the A-0, but still not as good as had been planned. The B-1 had its firepower increased with the addition of two 20 mm MG FF cannon in the bottom of the nose with also the four MG 17s and rear-firing MG 15 It had been hoped to test out the B series in Spain, but the civil war ended before that could happen. 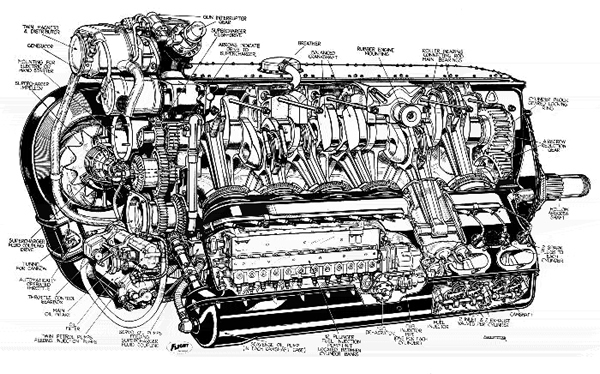 He was the first production version motorized with theDB 601A engine, with a asspeed increased to 349 mph He was armed with four MG 17 and two cannon in the nose, and a single MG 15 machine gun in the observer’s cockpit. fighter bomber version. It was equipped with two ETC 250 bomb racks under the fuselage, allowing it to carry two 551 lb/ 250 kg bombs.Motoorized with the DB 601N engines, able to giving extra power at take off. Reconnaissance version, without MG-FF cannon but with an Rb 50/30 camera installed in the floor of the cockpit. 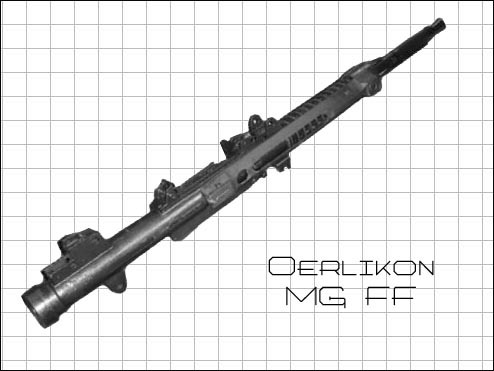 Modified Zerstörer version, with the two MG FFs replaced by one 30mm MK 101 cannon. fighter-bomber version, equipped with one ETC 500 bomb rack. It could carry the same weight of bombs as the C-4/B, but could take a wider selection of bombs. This version was a long range version was developed in part to deal with the long distances involved in the campaign in Norway, and to give it a longer effective range as an anti-shipping aircraft. Long range shipping patrol version with two 900 or 300 liters drop tanks and a ETC 500 bomb rack. Space was made in the fuselage for a two man life raft, in case the aircraft was shot down while far out to sea. The variant of Bf 110 /E appeared in 1941 when Luftwaffe expected the Me 210 to replace the 110 so Bf 110E had a short production run, being replaced by the Bf 110 F in the summer of 1941. The Bf110E- can carry a total bomb load of 1400 kg. E-1 with improved internal fittings and equipment. first version to be designed specifically as a night fighter. 1850 were produced before production until February 1945. Fighter-bomber version of the aircraft. However, after production of the similar Bf 110F-1 was ended work on this version was cancelled . He was an heavy Zerstörer entered front line service in January 1943 on the Russian front. Its first combat experience came in the aftermath of the fall of Stalingrad. Zerstörer units played an important role in slowing down the Russian advance in early 1943, acting as a ground attack aircraft. As heavy fighter (Zerstörer) the early versions were armed with four 7.9 mm MG 17s in the upper nose (each with 1000 rounds) and two 20 mm MG FF/M cannon in the lower nose (each with 180 rounds). The observer had a single 7.9 mm machine gun facing backwards from his cockpit. Iinitial version of the G-4 was armed with 20-mm MG 151 cannons and four 7.92 MG 17s and carried the FuG 202 Lichtenstein aerial interception radar. The radar equipment had to be constantly updated, first to the FuG 212, and then when that was jammed by the British to the FuG 220 combined with the FuG 212. 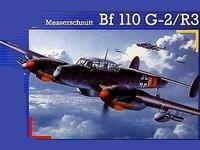 He was the final version of the Bf 110 series. Work on the Bf 110H began in 1943 but on 24 February 1944 USAAF bombed the Gotha works, destroying the test facilities, so the prototype Bf 110H has a delay of by at least six months But on September 1944 development work on the Bf 110 was curtails, and in November 1944 the aircraft was not included in the Emergency Fighter Program . It was to be powered by the DB 605E engine and he had 2 MK 108 cannon each with 135 rounds and 1 MK 103 cannon with 140 rounds. It would be equipped with 2 ETC 500 bomb racks under the fuselage and either 4 ETC 50 bomb racks or 4 NeWe 21 cm rockets beneath the wings. The removal of all the observers equipment would provide a significant improvement to the overall performance of the aircraft. These kits were fitted at the factory. fitting of two MG 151/20 mm cannon in the lower nose. This was used to bring early production models up to the normal G-2 standard, and to convert G-3 reconnaissance aircraft back to the G-2 standard. 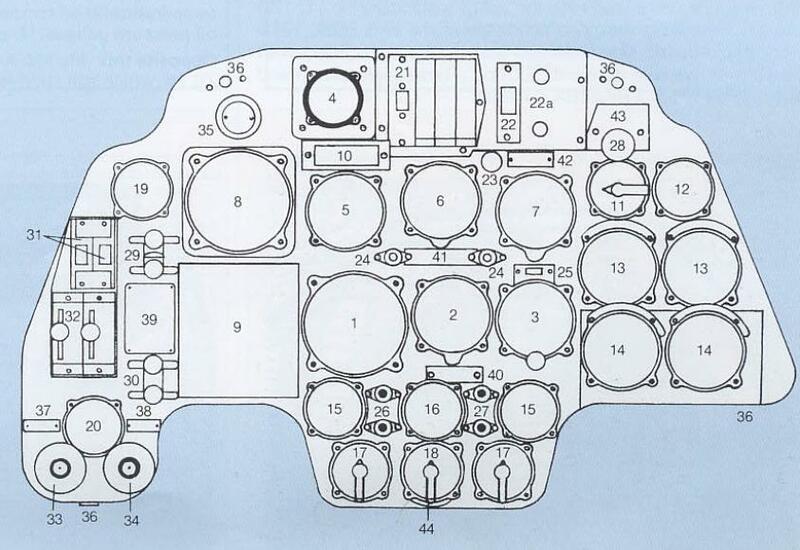 Mount for the FuG 202 and 212 AI radar sets that increased the angle they worked at but reduced the maximum range. 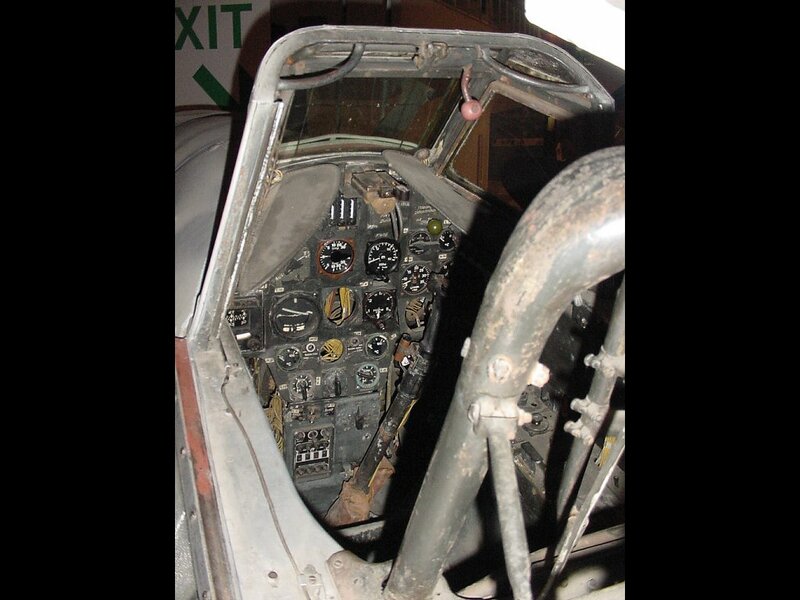 It may have been used in combination with the FuG 220 radar. Combination of the U5 kit and the FuG 221 radar system. 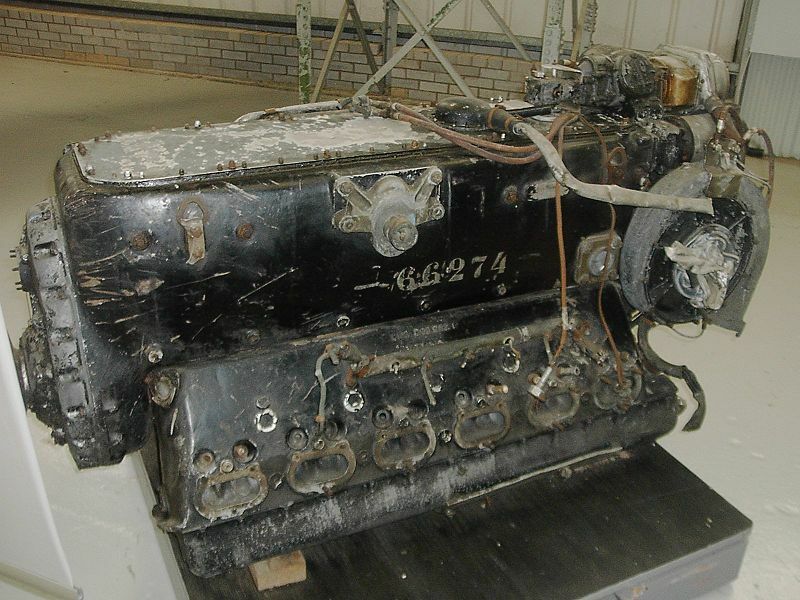 This radar system was abandoned in favour of the FuG 227 Flensburg radar. GM 1 nitrous oxide power boost. 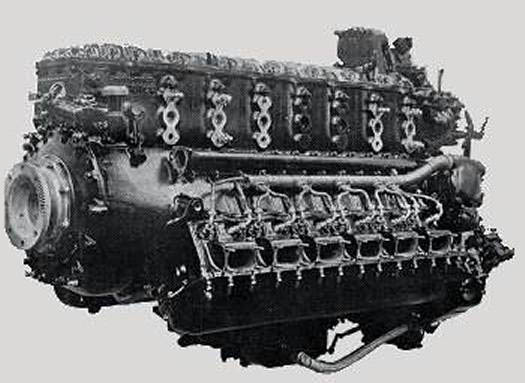 This could increase the power of the engines by 300 hp for up to 19 minutes, but it reduced the normal performance of the aircraft, and required the removal of the rear firing machine guns and was rarely used. Also known as the R2 kit. Increased internal fuel tank with another 540 litres It increased the range of the aircraft by 320 kms, but causes such a severe reduction in performance that it was abandoned after some field testing. Two 30 mm MK 108 cannon, with 135 rounds for the right cannon and 120 for the left. These were normally added closer to the front line. 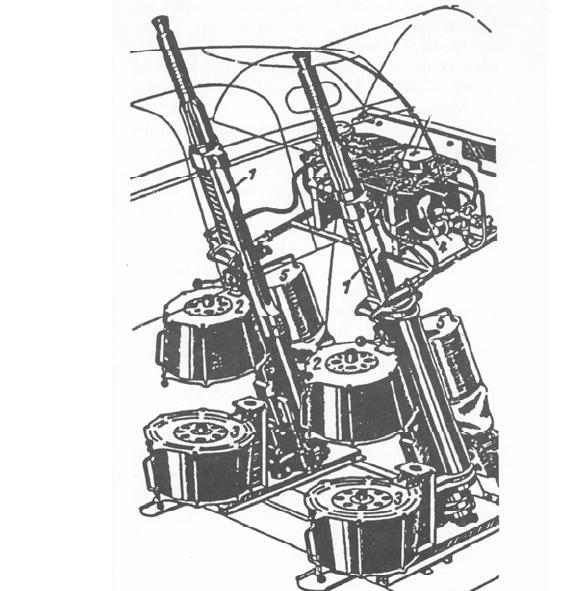 Addition of a 3.7 cm Flak 18 cannon beneath the fuselage, for use an anti-tank weapon. It was tested in April-June 1943 in Russia on a variety of aircraft. 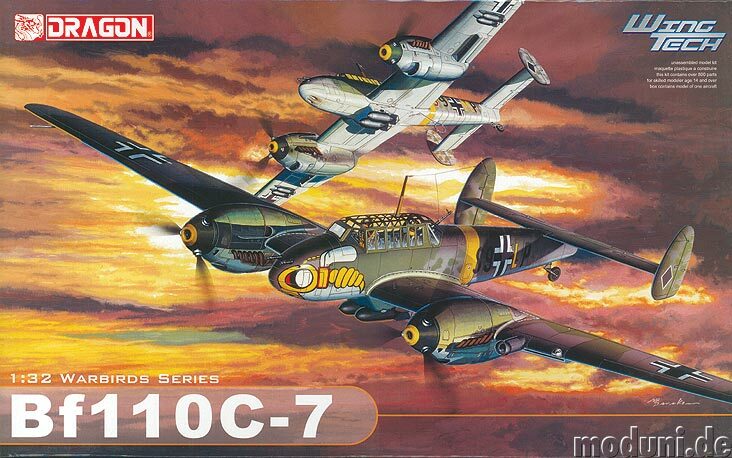 The Bf 110G performed badly with this kit and it was not proceeded with. Bf 110 lack of agility in the air was its primary weakness. After the succes of the earlis campaigns he suffred during the Battle of Britain He was redeployed as nigth figther, a role to which the aircraft was well suited. After during Balkans Borth Africa and Eastern campaigns he was a good ground support as a potent Jagdbomber-Jabo . Later in the war, it was developed into a formidable night fighter, becoming the major night-fighting aircraft of the Luftwaffe. 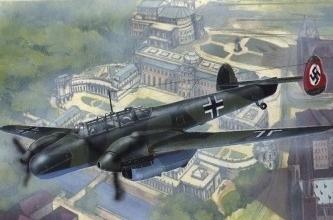 In 1942 He was take the decision to develop a more powerful version of the Bf 110 . Planned as the first production model of a heavy, full-time fighter Bf 110G-1 (different from the Bf 110G-pre serie by replacement MG FF cannons in the MG 151) was rejected in favor of Bf 110G-2. 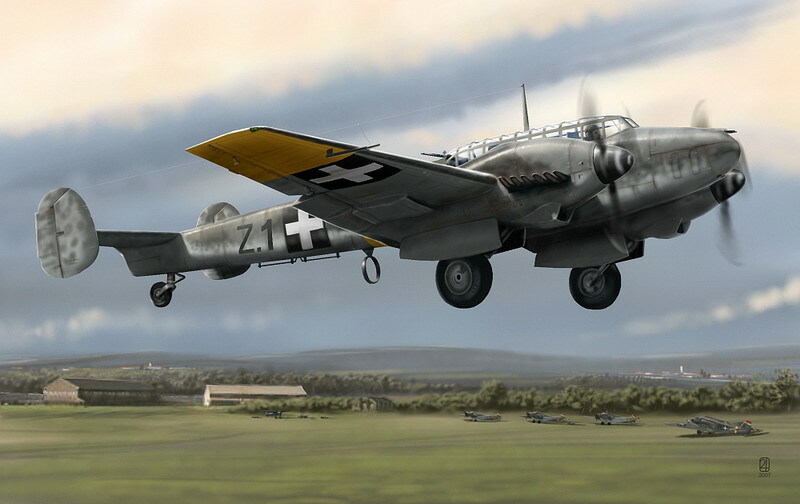 Bf 110G-2 differed from the Bf 110G-0 by the installation of new keels of feathers on the model of Bf 110F-4, The reinforced chassis mountings, allowed to raise the landing weight up to 8290 kg, Protection against rear attacks by replacing of the the MG 15 by a Spark MG 81Z with 800 rounds of ammunition. 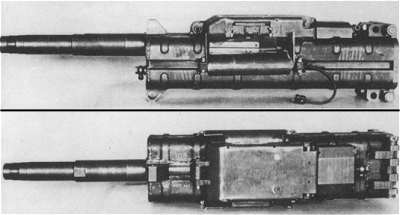 The MG 81 was a belt fed 7.92 mm machine gun for fixed or flexible installations in World War II Luftwaffe aircraft, replacing the older drum magazine-fed MG 15.The MG 81 was developed by Mauser as a derivative of their successful MG34 infantry machine gun. Development focus was to reduce production cost and time and to optimize for use in aircraft. Developed in 1938/1939, it was in production from 1940 to 1945. A special twin-mount MG 81 Z (Zwilling-twin) was introduced in 1942, which paired up two of the weapons on one mount, to provide even more firepower with max 3200 rounds/min without requiring much more space than a standard machine gun. an additional 55-liter oil in the fuselage, improved equipment for cold starting the engine with a larger capacity fuel tank starter, refinement of the cooling system, installation of additional equipment. Armament consisted of four 7.9-mm MG 17 machine guns with 1000 rounds of ammunition and two 20-mm MG 151 cannon with 650 rounds. 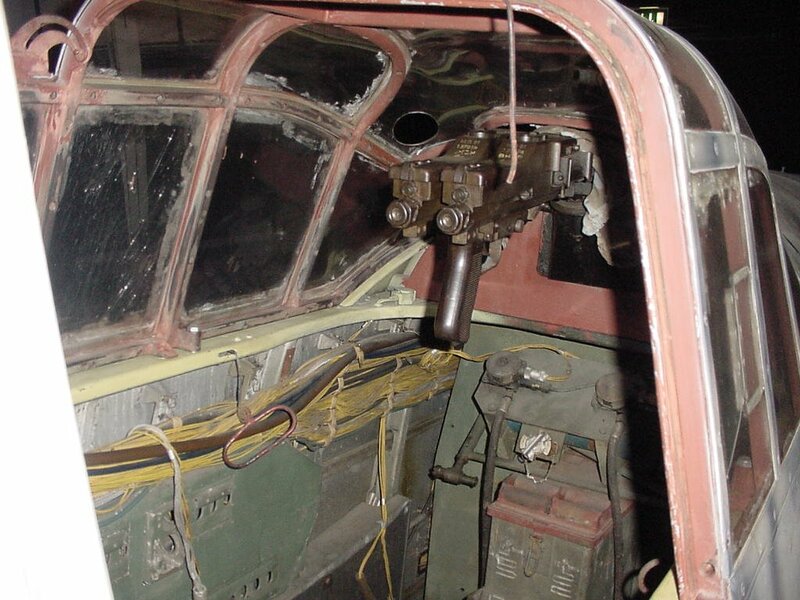 Under the fuselage were two ETC holder( elektrischer Träger für zylindrische Außenlasten ) 500, but they can be replaced by two 20-mm MG 151 cannon with 200 shells in the barrel. Holders of two 300-liter tank under the console can be replaced by the holder of four ETC 50/VIII. The "set" consisted of a 37-mm cannon VC 3,7 (Flak 18), This forced to withdraw two 20-mm cannon. VC 3.7 has the Muzzle velocity 1170 m / s and has proved effective when used against bombers coming without fighter cover. 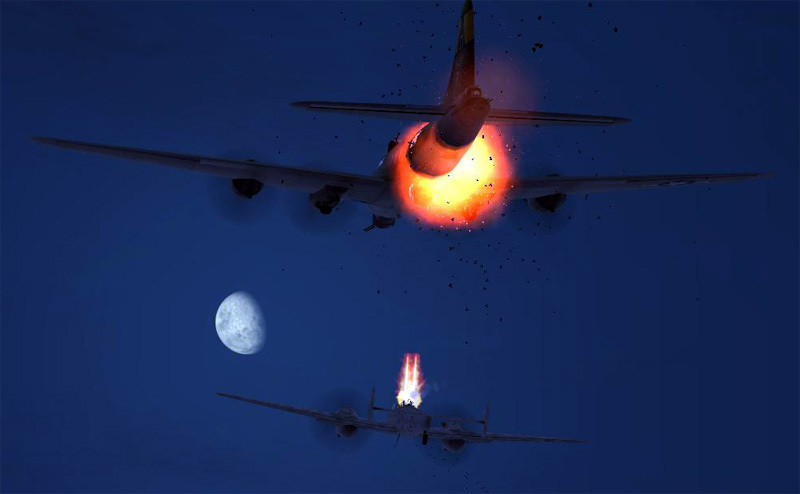 One hit, as a rule, led to the destruction of B-17. But the weight of the gun and the extra air resistance fairing did Bf 110 extremely vulnerable during a meeting with fighter escorts. Normal" mode provided the injection duration up to 45 minutes, and "extraordinary" - up to 27 minutes. The total weight of plants, including a tank of high pressure with an empty weight of 180 kg, was 615 kg. This "set" was designated R2. During 1943, four bow MG 17 machine guns were replaced with "set" R3 or a pair of 30-mm MK 108 cannon with 135 rounds in the barrel. On Bf 110G-2/R5 use "sets" R1, R2 and R3. Bf 110G-3, which went into series production in early 1943 - later than the Bf 110G-4, received one camera Rb 50/30 or 70/30, offensive armament consisted of four nasal 7.9-mm MG 17 machine guns, and under the wing could hang two 300-liter tank. Defensive armament consisted of one machine gun MG 81Z in the rear of the cabin and a fixed, 20-mm MG 151 cannon with 350 rounds. G-3 has a ceiling of 5800 m and a speed of 557 km / h. The range with R3 set was to 900 km. From the beginning, it's designed for the installation of radar. Equipment shall be subject to "factory set". 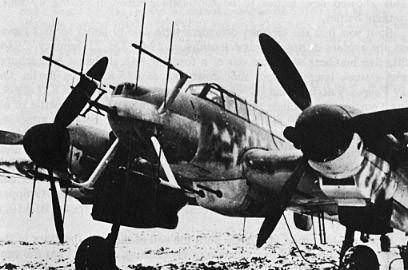 Standard Bf 110G-4 had an armament of four 7.9-mm MG 17 machine guns with 1000 rounds of ammunition in the trunk and two 20-mm MG 151 cannons. MG 81Z defense provided with 800 rounds of ammunition. 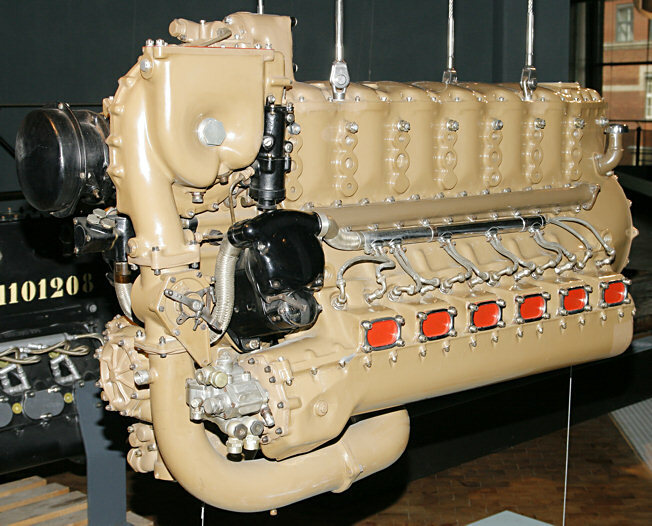 in April 1943 he FuG 10P replaced by FuG 16zy, which solved the problem of suppressing interference between the radio guidance system "Himmelbett and. Bf 110G-4/U1 received the same "set of factory installation, and that the Bf 110F-4/U1 - two 30-mm MK 108 cannon" Schrage music. " The first set of factory installation was a locator FuG 212" Liechtenstein "P-1, which is different from the simple production FuG 202. The plane with him is called Bf 110G-4/U5. Instead of "mattress" antennas at the Bf 110F-4a in the nose is now considered only one antenna, which significantly reduces air resistance. Bf 110G-4/U6 was like G-4/U5, but still had a direction finder FuG 221a "Roosendaal-Galbe" tuned to the wave of the British warning system "Monica", standing on the bombers. Antenna Roosendaal "just put in the nose. Since February 1942, MIAG and Gotha surrender 577 fighters surrendered, but the average rate for 10 months amounted to 57-58 aircraft. Peak production was reached in November, when the 84 aircraft. In early 1943 production Bf 110 continued to rise, increasing by 100%. Monthly production at 126 planes. 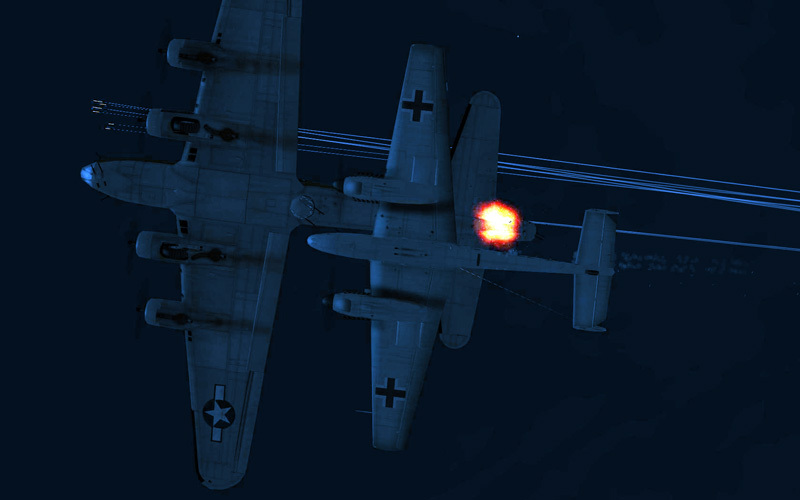 By this time the Bf 110 as "hunters" were used only in the ZG 1 and ZG 26, and 13. (Z) / JG 5, but more often used as a scout and became the major night fighter aircraft aviation. By early 1943 night fighter was expanded to 15 teams 390 capable fighters, most of them were Bf 110F and Bf 110G. Although the Ju 88C-6 has been gradually "leak" into the night fighter squadrons, they were completely re only two groups - I and II / NJG 2, which are also used as "hunters" on the Mediterranean theater. In addition to a small number of Do 217J and Do 217N, used in II and IV / NJG 1 and I and II / NJG 3, together with the Bf 110 and Ju 88C-6 in the IV / NJG 3, the rest of the fighters were armed with only "Messerschmitt". The latter, besides the above-mentioned parts used in I and III / NJG 1, III / NJG 3, I, II and III / NJG 4, I and II / NJG 5. Trying to improve the characteristics of high-altitude fighter, at the option Bf 110G-4/U7 been forcing GM 1 system is modeled on the "set of field installation of" R2. 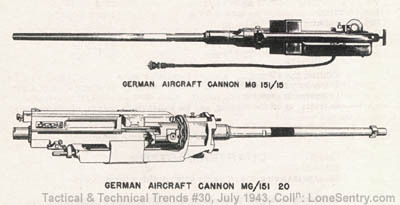 Installing the 37-mm Flak 18 cannon, GM 1, and replacement of MG 17 machine guns on two gun MK 108, respectively, gave versions of Bf 110G-4a/R1, R2 and R3. With the advent of radar "Liechtenstein" SN-2, which was a response to the use of the English passive interference "vindow, was standardized Bf 110G-4b. Locator "Liechtenstein" P-1 from one antenna in the nose remained, along with reindeer horns "SN-2. The latter, while working at a frequency not covered by "chaff, had a minimum range of 400 meters - significantly more than was necessary for visual contact with the target. This led to leave the P-1 with a minimum distance of 200 m. In addition to the set of "R3 (Bf 110G-4b/R3) Bf 110G-4b, and was equipped with" sets "R6 and 7. The first of these Bf 110G-4b/R6 is a combination of R3 with a system of forcing GM 1 ( "set" R2), and the second - Bf 110G-4b/R7 combination of R3 with an additional 540-liter fuel tank on the model of Bf 110G-4 U8. 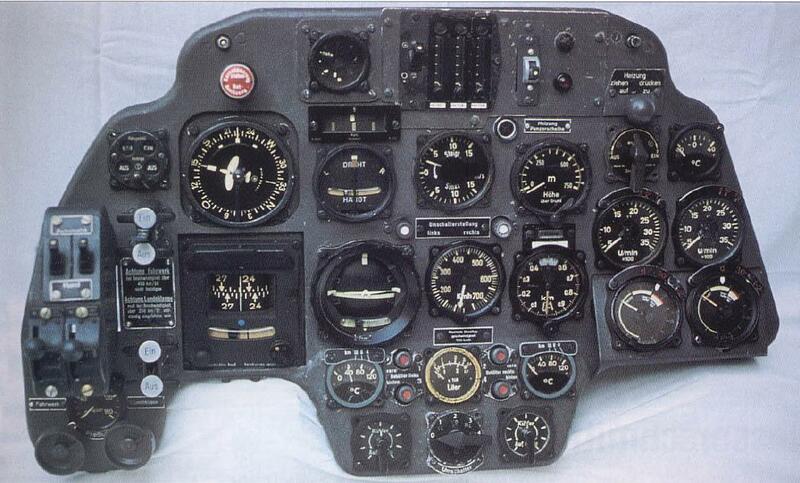 1509 Bf 110 were manufacturing during 1943 , about half of which were F-4 and G-4. By early 1944, consisting of a night fighter aircraft were formed, seven more groups. Losses incurred by the British bombing upon the Third Reich at the beginning of 1944, was forced to temporarily halt the massive raids. By early 1944 he had finally solved the problem of the minimum range of radar "Liechtenstein" SN-2. This allowed to remove the P-1, on the aircraft nose. With a locator FuG 220b "Liechtenstein" SN-2 aircraft called Bf 110G-4c. As in the predecessors, he placed "a weapon" R3, 6 and 7, the truth was another option - Bf 110G-4c/R4 the replacement of 30-mm cannons, the MK 108 on a pair of 20-mm MG 151. 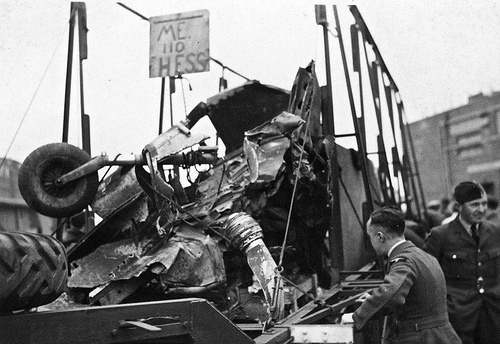 Bf 110G-4 as a crew of two or three people, and the main problem was the lack of an aircraft radio operator leaving the damaged vehicle with a parachute. To do this, first had to jump shooter, but if he was injured or killed, then leave the aircraft was not possible. At the same time affected by a serious shortage of fuel, which significantly reduced the fighting efficiency "night-light." The number of Bf 110 in combat units has declined by half. Bf 110G-4 was used in a handful of allies and of Germany. Italy receive Bf 110 G4 for 59 th and 60 th regiments. At the beginning of 1945 according to the report at headquarters, consisting of Luftwaffe night fighter aircraft with the exception of Norway fully Bf 110 were armed with only II, III and IV / NJG 1 and I / NJG 3. For several Bf 110 in the II, III and IV / NJG 5 and I, III and IV / NJG 6, who were mostly armed with Ju 88. In the intelligence groups and "hunters" Bf 110 did not have. Latest Bf 110G alighted from the assembly line in March 1945 - only the first three months have been surrendered only 45 aircraft. Even before the final sunset Bf 110 in the series had run another modification - Bf 110H, which in 1942 he produced in parallel with the Bf 110G. Considering the minor changes in design, the attribution of the new Bf 110 letters have been modified but in 1941, when the project elaborated a series of N, it is quite different from the previous version. By the time mass production was restored Bf 110, the majority of features of the project Bf 110H was used for mass-produced versions of Bf 110G. Bf 110H-4 / U7 and H-4/U8).